Throughout the year our children and staff actively fundraise generously for Nugent Care/ Good Shepherd, HCPT, CAFOD, Barnados, The Sisters of Mercy on Seal Street, The Salvation Army and other local charities. Our year 6 last year (with support of all pupils and parents) raised significant sums to provide two sight boxes for visually impaired children in the developing world (the aim to tackle segregation) in collaboration with St. Vincent’s School. Certificates and acknowledgements are proudly displayed in our school. 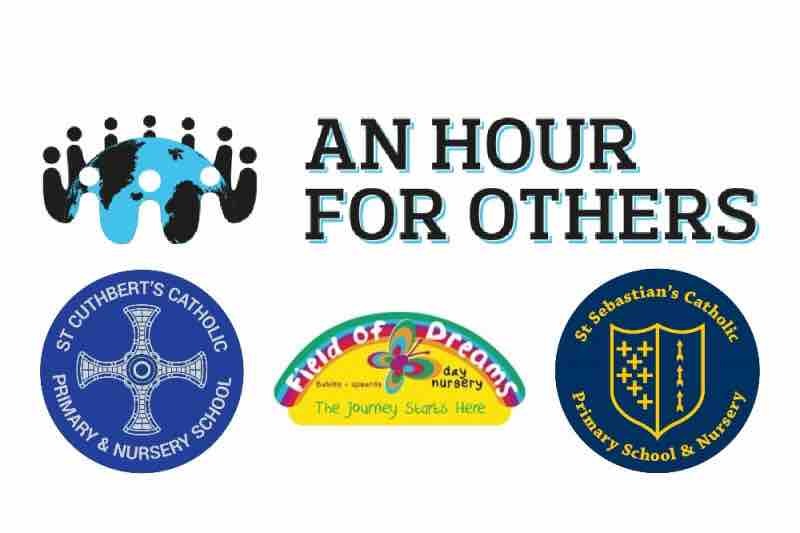 On Saturday 26th May 2018, the Federation of St Cuthbert’s, St Sebastian’s and the Field of Dreams Nursery are taking on a huge challenge! 11,000 feet to be exact!